Not all of the plants in your garden or yard are required to be on the ground. 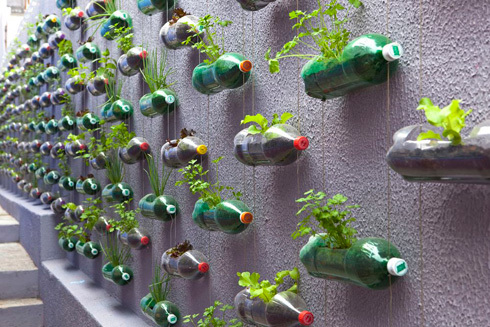 Check out these creative vertical garden ideas and get inspired to add a few. 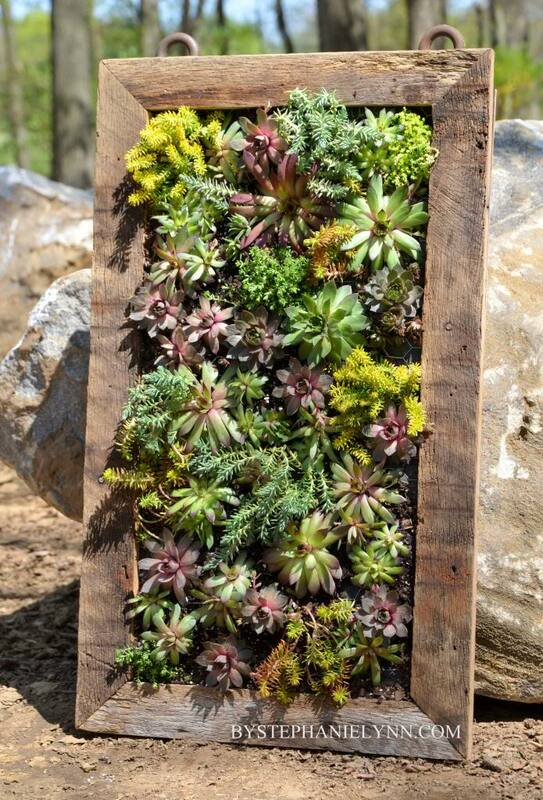 Vertical gardens are a fun way to garden without spending all your time on your knees in the backyard. They’re great for people with knee or back problems, or for those of us without large, beautiful yards for our displays. 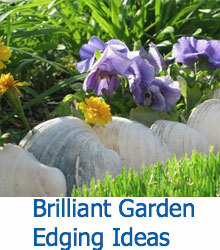 So try some of these ideas and get inspired for spring! 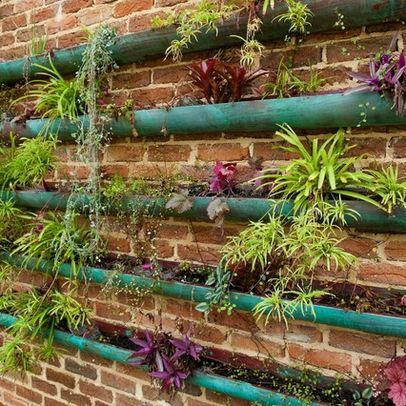 A few pipes with the top cut off can be hung on the walls or fence to create a cascading vertical garden. 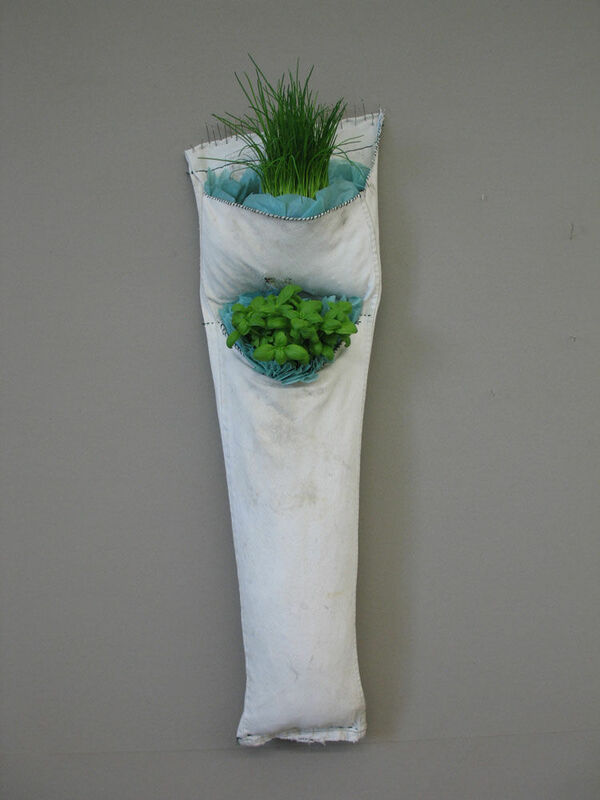 Give the pipes a bright paint color and you add color to your garden as well! 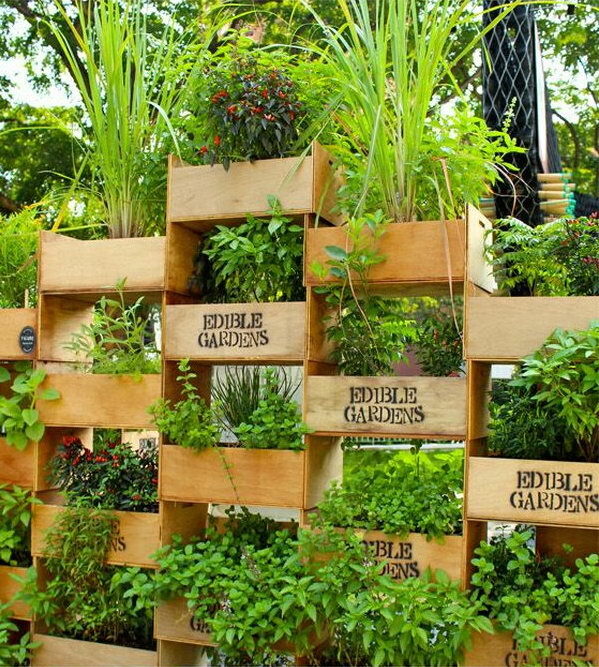 Like the succulents frame, this leaning garden is made from a small pallet. 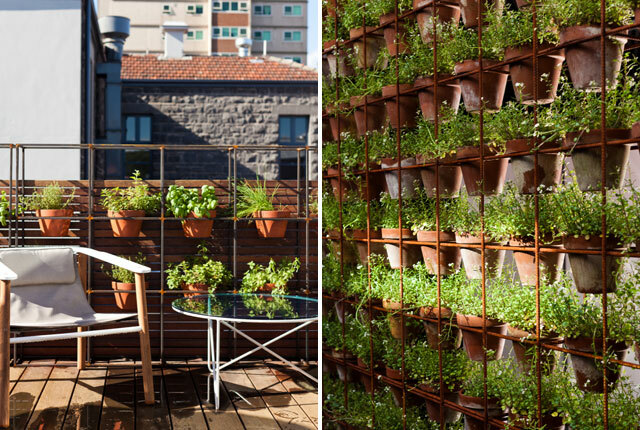 The narrow spaces between the slats blossom with succulents and other greenery. 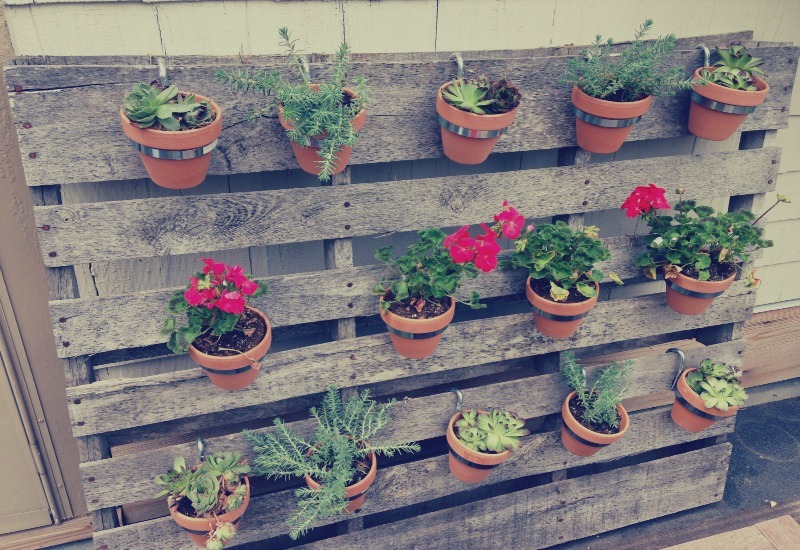 A DIY vertical planter made from an old wooden pallet, hooks, and plain old terra cotta planters. The simple design allows it to easily lean against the house, or against the fence. Who doesn’t have a ton of pop bottles laying around? These can be easily hung in rows by threading thin rope through either side of the bottle. 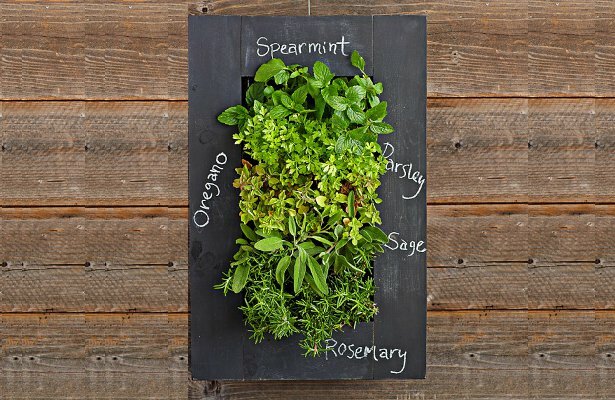 A perfect, easy herb garden. Just don’t forget to wash out those bottles first! 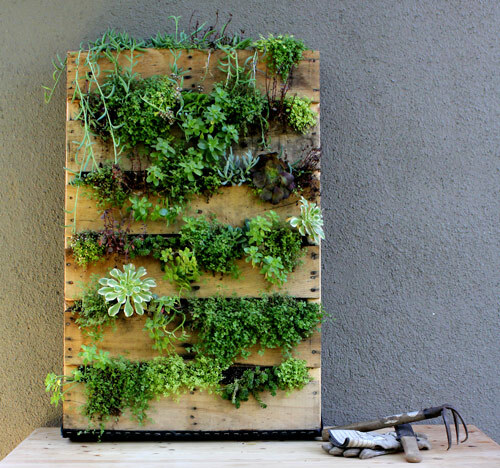 A canvas shoe organizer is a cheap, super easy way to start a vertical garden. The pouches are sturdy, and they’re super easy to hang wherever. 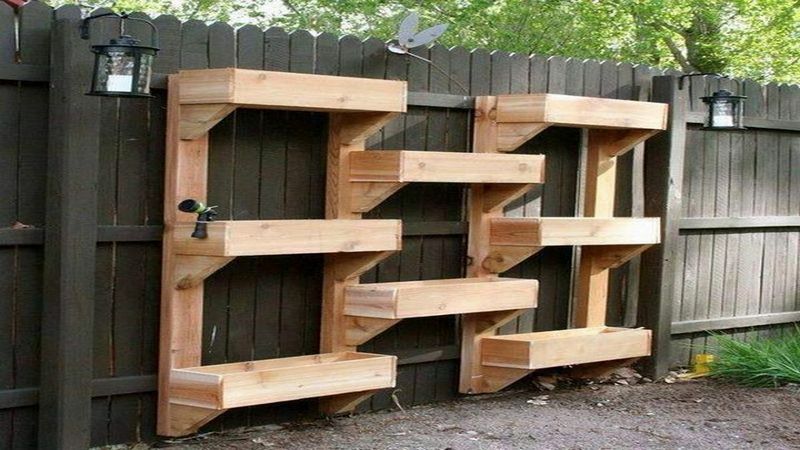 A clever solution for someone who doesn’t like to DIY! 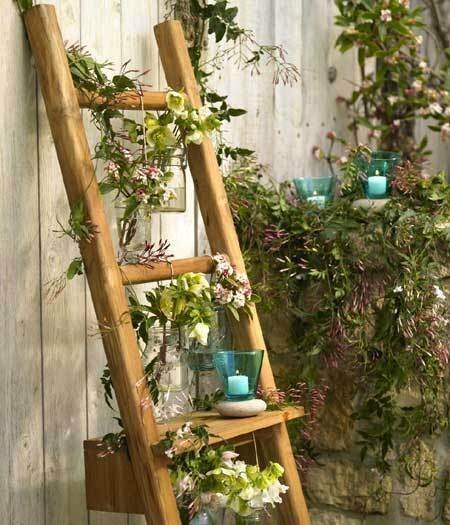 A little assembly, a cute stencil, and you’re ready to start a vertical garden! 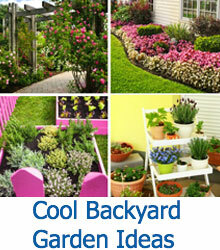 Build these as high as you want; they can add privacy to your yard as well as style! 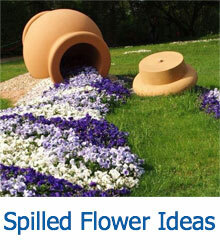 This is a fun project to do with children. The result is a cooky, crooked sculpture. 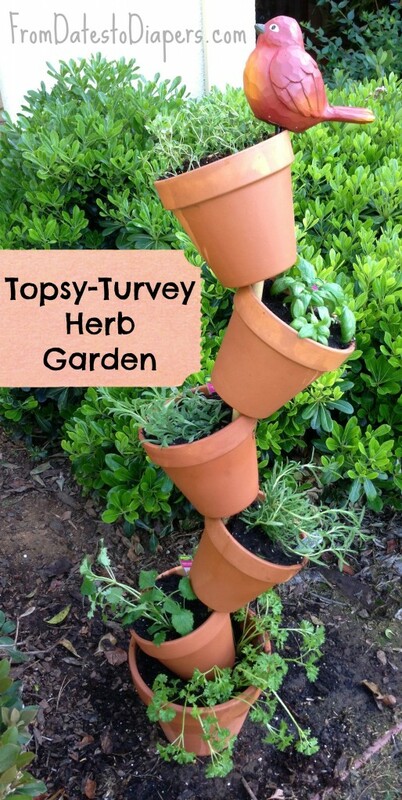 Trail vines out of the top, or plant herbs in a number of these for a fun, interesting look. 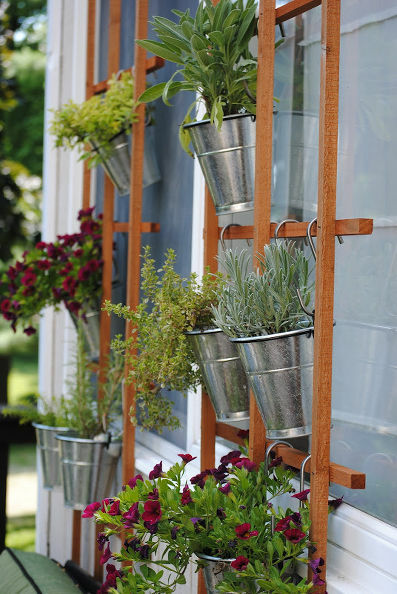 For a cute, easy twist on the traditional trellis, hang tin planters from each of the rungs. 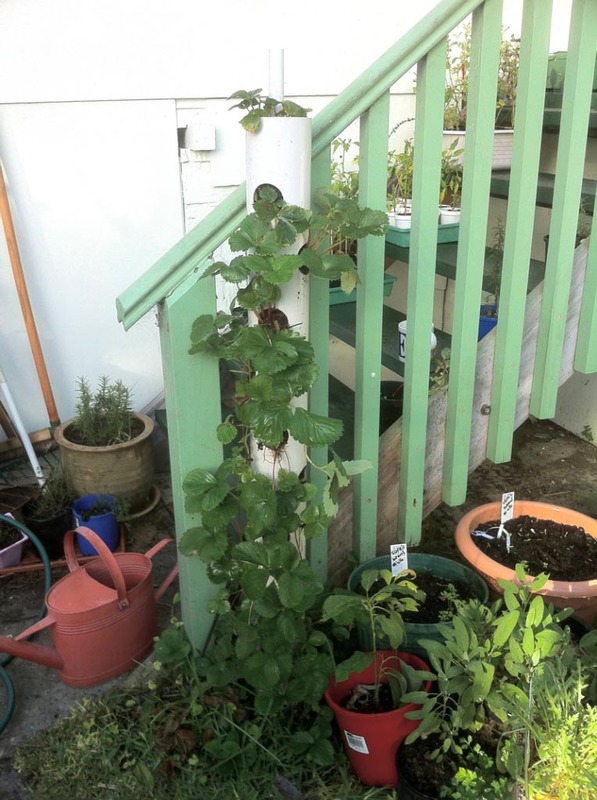 If you ever want to switch out the plants, it’s much easier than tearing out a plant that’s grown around the trellis. These are perfect for growing strawberries! Drill holes in the pipe and fix it firmly in the ground. Group several together to really grow some berries! 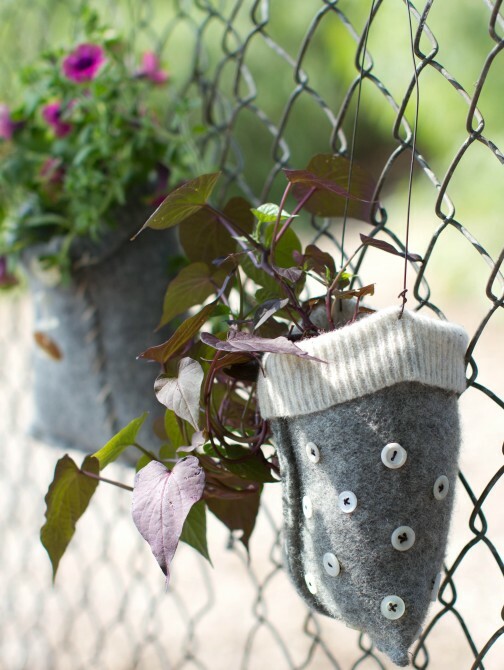 If you have a few pairs of jeans that are too worn or out of style, upcycle those jeans by using this little sewing project to create hanging planters! 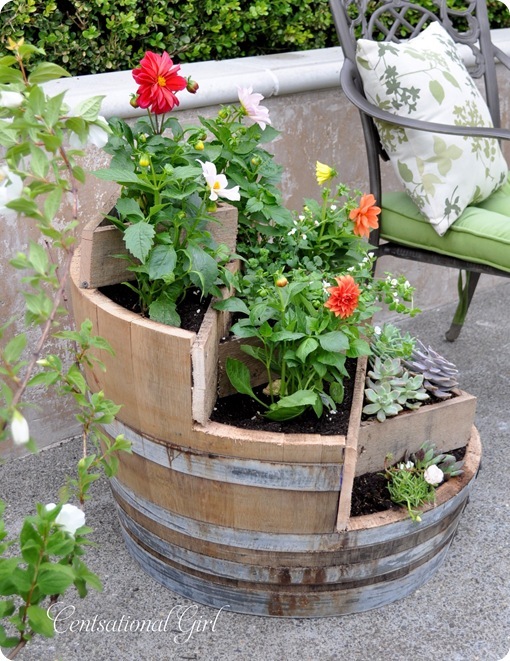 An old wine barrel can be cut into sections to create a tiered planter for succulents, perennials, or anything you want! Great for country or cottage styles! If you’re up for more of a challenge, try building a set of custom wooden planters. 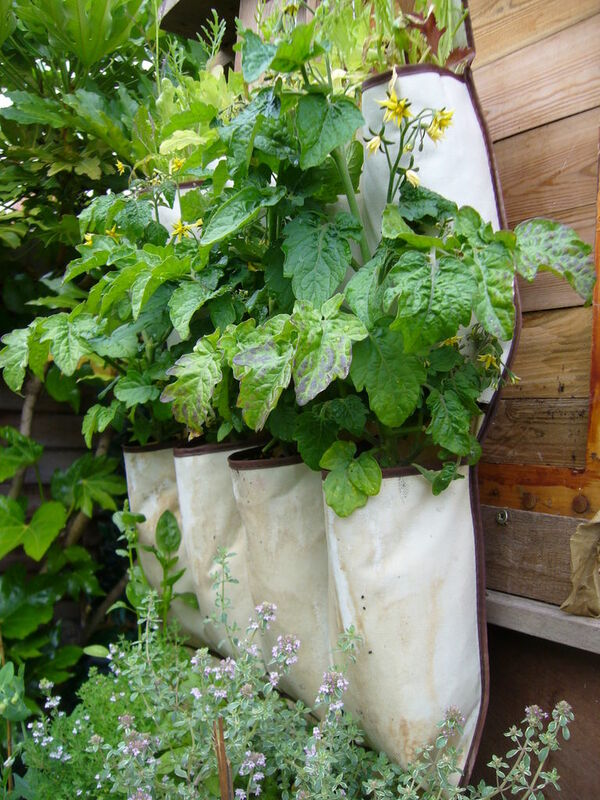 These are sturdy and can be fixed to a fence to add vertical gardening space.